A complacent Assam‘s under 23 cricket team and it’s lack of spark in its four day outing at Silchar, resulted in a huge loss on Monday. 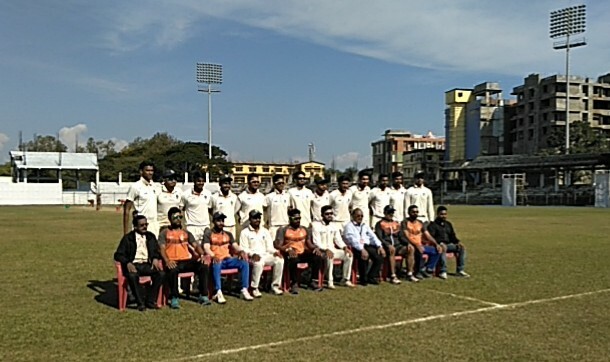 Assam team lost by an innings and 28 runs against Madhya Pradesh in the Col. CK Nayudu Under 23 cricket tournament held at DSA Silchar from November 30 till December 3. The innings was wrapped up on its fourth and final morning, with off spinner Rajarshi Srivastav of MP, being the wrecker in chief in the second innings of Assam, claiming 6 for 76. Assam which managed to score 217 in its first innings with captain Abhishek Thakuri scoring 53, were bundled out in their second outing just for a paltry 156 runs, with Biplab Saikia scoring an individual best of 70 runs for Assam team for this match. Whether Assam can change their fortunes as they play next against Hyderabad, or can, MP take their winning ways forward against Delhi at Rewa of Madhya Pradesh, is a thing to watch out for in a few days from now.